Here at RWAF we are often asked our opinion on things like harnesses, clothes for rabbits and this week taking rabbits out in pushchairs! 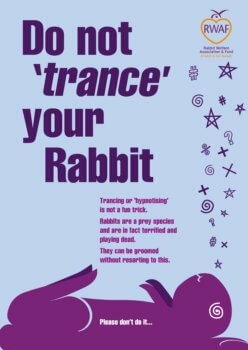 It is impossible to cover every eventuality that owners might think up for their pet rabbits, but to try and cover as many as possible we would say that rabbits should be neutered and vaccinated, fed a hay based diet, and kept in compatible pairs and with 24/7 access to a large safe exercise area with a shelter. We recommend a minimum area of 3mx 2m x 2m high for two average sized rabbits, regardless of them being kept inside or outside. Supervised free range time in a safe garden or bunny proofed areas of the house are good in addition to this but should not be instead of. 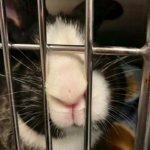 There is no benefit at all to a rabbit, as a prey animal, to be dressed up in clothes, to wear a harness, to be pushed in a push chair, or taken on an unnecessary car ride at all, in fact they can be detrimental to their welfare by causing them stress, so we do not approve of these things. There are so many considerations. 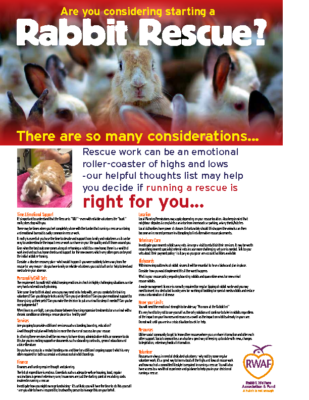 Rescue work can be an emotional roller-coaster of highs and lows – our helpful thoughts list may help you decide if running a rescue is right for you. 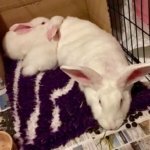 Thinking of starting a rabbit rescue? It’s important to understand that the Rescue is “YOU” – even with reliable volunteers the “buck” really does stop with you. There may be times when you feel completely alone with the burden that running a rescue can bring and emotional burnout is sadly common in rescue work. It really is essential you have the time to devote and support from family and volunteers as it can be easy to underestimate the impact rescue work can have on your life quality and all those around you. 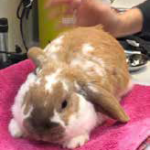 Even when the best outcome comes along of re-homing a rabbit to a new home, there is a wealth of work involved such as home checks and support for the new owners which very often goes on beyond the initial rabbit re-homing. Consider a disaster recovery plan – what would happen if you were suddenly taken away from the rescue for any reason – do you have family or reliable volunteers you could call on for help to feed and medicate in your absence. volunteers? Can you delegate tasks easily? Can you give direction? Can you give emotional support to those giving up their pets? 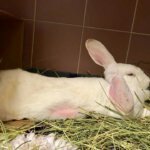 Can you make the decision to put an animal to sleep if needed? Can you be non-judgemental? 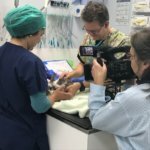 When finances are tight, can you choose between financing expensive treatments for an animal with a chronic condition or offering a rescue place to a healthy one? Are you going to provide additional services such as bonding, boarding, education? A well thought-out plan will help to increase the chance of success for your rescue. In offering these services it will be necessary to have strong administrative skills or someone to do this for you in creating supportive documents such as boarding contracts, general education and advice literature. 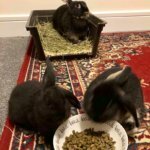 Do you have access to a neutral bonding area and time for additional ongoing support which is very often required for both successful and unsuccessful rabbit bondings. Finances and funding require thought and planning. The list of expenditure is endless. Essentials such as adequate welfare housing, food, regular vaccinations & general veterinary care, Insurances are just the starting point of escalating costs involved in running a rescue. 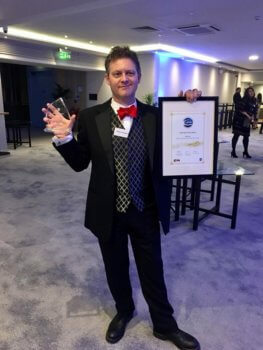 Investigate how you might manage fundraising – it’s unlikely you will have the time to do this yourself – are you able to have a responsible, trustworthy person to manage this on your behalf. Local Planning Permissions may apply depending on your rescue location. Also keep in mind that neighbour disputes & complaints can arise from increased car parking, aviary sheds/hutches. Local Authorities have power of closure. Unfortunately should this happen the animals can then become an increased pressure in attempting to find alternative rescue placements. 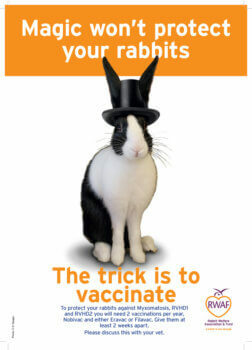 Investigate your nearest rabbit savvy vets. Arrange a visit to establish their services. 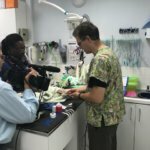 It may be worth researching nearest specialist referral vets in case more challenging vet care is needed. Talk to your vets about their payment policy – is it pay as you go or are account facilities available. 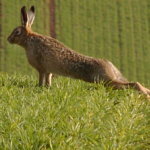 With increasing outbreaks of rabbit viruses it will be essential to have a biohazard plan in place. Consider how you would implement this if the worst happens. 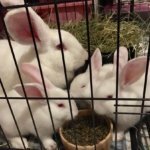 What is your rescue policy regarding boarding rabbits and quarantine areas for new arrival rescue rabbits? 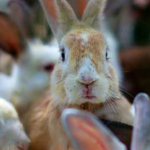 A waste management licence is normally required for regular tipping of rabbit waste and you may need to invest in a dedicated laundry area for washing of bedding for special needs rabbits and reduce cross contamination of disease. 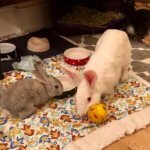 It’s very hard to try not to see yourself as the only solution and continue to take in rabbits regardless of the impact on your finances and resources as well as the impact on rabbits already in your care. Do not wait until you are in a crisis situation to ask for help. Utilise social community to get to know other rescues where you can share information and offer each other support. Social communities can also be a great way of keeping up to date with news, changes to legislation, veterinary/medical information. Rescues are always in need of dedicated volunteers – why not try some regular volunteer work, it’s a great way to learn about all the highs and lows of rescue work and how much of a committed lifestyle is required in running a rescue. You wlll also have access to a wealth of experience and guidance to help you in your decision of running a rescue.